Glasgow Fair Fortnight is traditionally the time when Glaswegians would take their annual holiday. The holiday would often be a trip "doon the watter" to places such as Rothesay, Saltcoats or Dunoon. 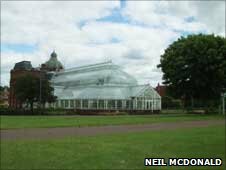 Many businesses and factories in the west of Scotland would close for the Fair Fortnight, held in the last two weeks of July. By the 1950s, tens of thousands of holiday-makers would exit the city headed to the coast for a Fair holiday. The beginnings of the Glasgow Fair can be traced back to the 12th Century, when the Fair was just that, a market held in the precincts of Glasgow Cathedral where goods could be bought and sold and where horses and cattle were traded. From the 1800s the Fair took place on Glasgow Green and eventually developed into a holiday fortnight. In the 1950s and 1960s tens of thousands of people would take part in the annual exodus "doon the watter" or further afield to the East coast. A huge queue of holiday-makers would line up at Glasgow's Central Station on Fair Friday, eager to board the train that would take them to their annual break. Today the Glasgow Fair is still observed as a local holiday but as people take their holidays scattered throughout the year, Fair Fortnight is no longer the great escape from the city that it once was. 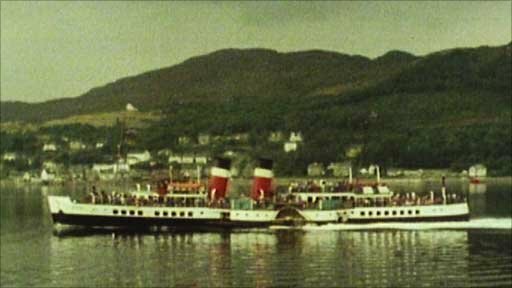 The archive in the film above is from "A Touch of Summer" first broadcast on the BBC in 1959, "This Wonderful Clyde" broadcast in the 1960s and footage from the 1970s.